أعلن رئيس لجنة الاستخبارات في مجلس النواب الأميركي آدم شيف توسيع التحقيق بشأن ما إذا كانت المصالح المالية للرئيس دونالد ترامب تقود قراراته وأفعاله. وقال شيف -بعد أول اجتماع للجنة في الكونغرس الجديد- إن "التحقيق سيشمل أي ادعاء ذي مصداقية يتعلق بنفوذ الروس أو السعوديين أو غيرهم على ترامب". وردّ ترامب على هذا القرار بأن التحقيق الذي تجريه لجنة الاستخبارات "لا أساس له، وبأنه جزء من حملة لاستهدافه". ووصف ترامب رئيس لجنة الاستخبارات بأنه "مجرد متعصب حزبي يحاول أن يصنع لنفسه اسماً". وأضاف "لم يمرّ أي رجل سياسي آخر بهذا.. إنها مضايقات للرئيس.. هذا مؤسف، وهذا حقاً يؤذي بلدنا". وقد صوتت لجنة الاستخبارات في مجلس النواب لصالح تسليم المحقق الخاص روبرت مولر سجلات توثق عشرات المقابلات التي أجرتها اللجنة مع شهود في قضية التدخل الروسي في الانتخابات الرئاسية عام 2016. وقال النائب الجمهوري مايك كوناوي إن اللجنة قررت تسليم نحو خمسين سجلا إلى مولر الذي يواصل التحقيق في احتمال تواطؤ حملة ترامب الرئاسية مع الروس. وتحوي السجلات التي ستوضع تحت تصرف مولر، مقابلات مع ترامب الابن، ومستشار الرئيس وصهره جاريد كوشنر، ومحاميه السابق مايكل كوهين وآخرين؛ أجريت حين كان الجمهوريون يديرون التحقيق في لجنة الاستخبارات. كما تشمل مقابلات مع مسؤولين سابقين وحاليين في إدارة ترامب، ومسؤولين في إدارة الرئيس السابق باراك أوباما. وستسمح هذه المعلومات لمولر بمقارنة ما قاله الشهود عن أحداث رئيسية، مثل الاجتماع الذي جرى في يونيو/حزيران 2016 بين ترامب الابن وكوشنر، ورئيس حملة ترامب السابق بول مانافورت والمحامية الروسية ناتاليا فيسلنيتسكايا. يشار إلى أن الرئيس ترامب حذّر الديمقراطيين الذين يسيطرون على مجلس النواب -في الخطاب الرئاسي التقليدي عن حال الاتحاد الذي ألقاء أول أمس الثلاثاء- من توسيع تحقيقاتهم، مؤكداً أنها "سخيفة ومنحازة" وتهدد الاقتصاد الأميركي. Donald Trump slammed Democrats at the helm of the House Intelligence Committee for what he called unlimited presidential harassment Thursday on Twitter, folllowing a warning that they would widen the investigation into his corporate and personal finances. Facing chairman Adam Schiffs threat of an investigation that presses the president far beyond Special Counsel Robert Muellers search for evidence of election-year collusion with Russia, Trump blasted what he called the continuation of [a] Witch Hunt! that Republicans never did to President Obama. 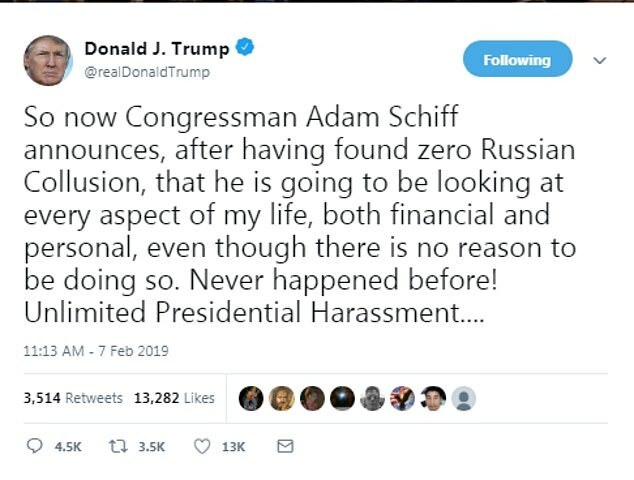 So now Congressman Adam Schiff announces, after having found zero Russian Collusion, that he is going to be looking at every aspect of my life, both financial and personal, even though there is no reason to be doing so, Trump wrote. Never happened before! Unlimited Presidential Harassment. 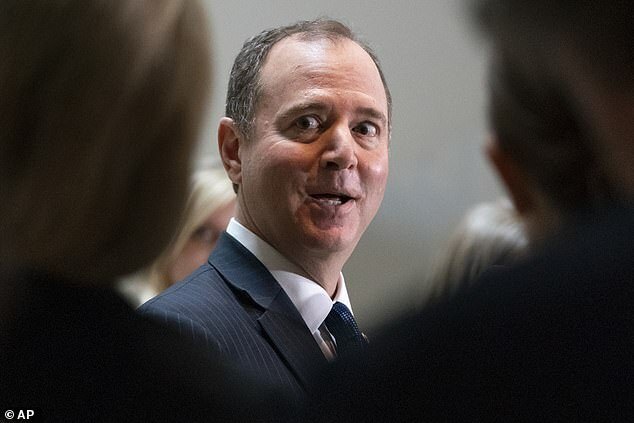 A Schiff spokesman did not respond Thursday morning to a request for comment. PRESIDENTIAL HARASSMENT! It should never be allowed to happen again! Trump blasted in another tweet. 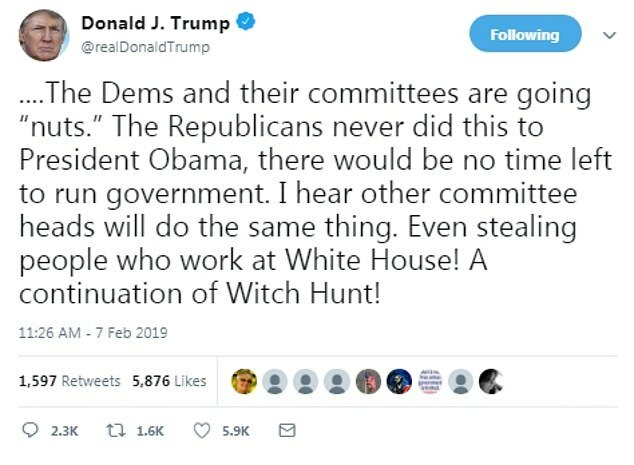 The Dems and their committees are going “nuts.” The Republicans never did this to President Obama, there would be no time left to run government, Trump added on Twitter. I hear other committee heads will do the same thing. Even stealing people who work at White House! A continuation of Witch Hunt! Trump referred to Schiff on Wednesday as a political hack who was harassing him to get his name in the news, as the men stepped up their attacks on one another. 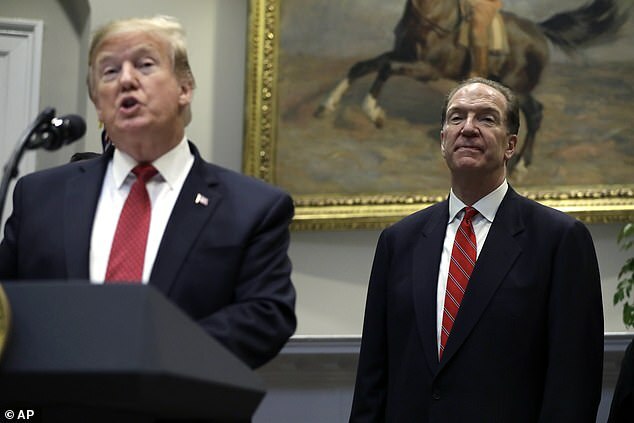 Schiff announced his intention to widen the investigation not long before Trump invited reporters into the Roosevelt Room for the introduction of World Bank nominee David Malpass. Trump pretended not to be familiar with the politician he has slammed as Adam Schitt before telling a reporter who asked about the probe: On what basis would he do that? He has no basis to do that. He’s just a political hack, who’s trying to build a name for himself. And I think that’s fine, because that’s what they do, Trump said. But there would be no reason do that. No other politician has to go through that. It’s called presidential harassment. And it’s unfortunate, it really does hurt our country. An hour later, Schiff responded on Twitter: I can understand why the idea of meaningful oversight terrifies the President. Several of his close associates are going to jail, others await trial, and criminal investigations continue. We’re going to do our job and won’t be distracted or intimidated by threats or attacks. 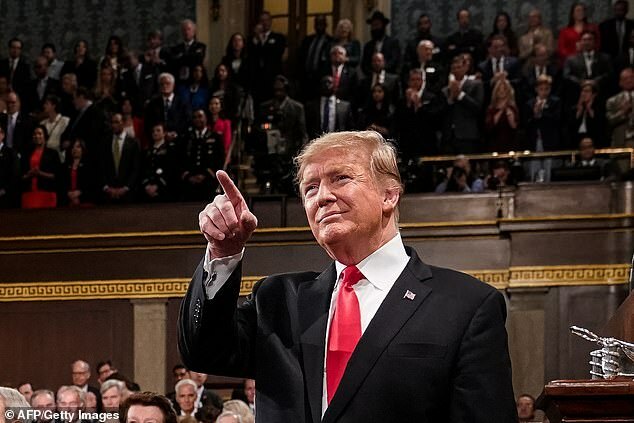 Trump angered congressional Democrats on Tuesday night when he complained in his State of the Union address about ridiculous partisan investigations that are diluting bipartisan sentiments. If there is going to be peace in legislation, there cannot be war and investigation. It just does not work that way, he lectured. 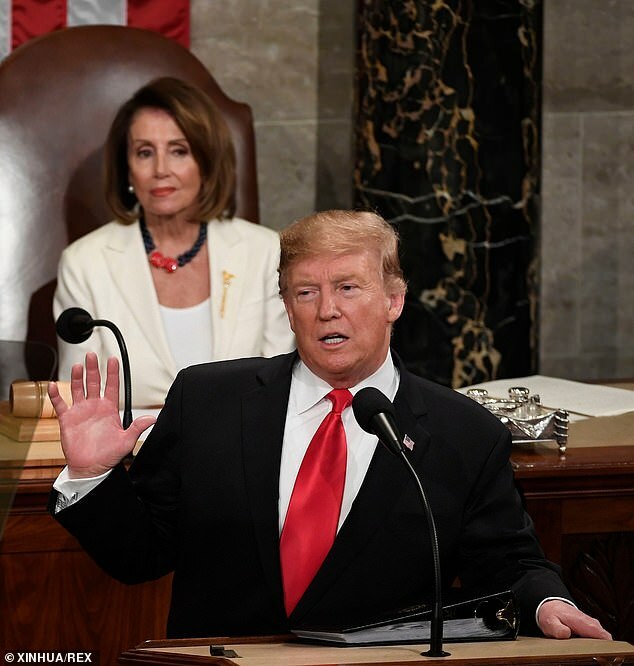 House Speaker Nancy Pelosi encouraged Trump on Wednesday afternoon to use a prodigious amount of caution when addressing lawmakers in that manner. The president should not bring threats to the floor of the House, she said. Trumps words were taken as a warning to House Democrats from the president about investigations theyre launching into his administration. He said he wasnt going to cooperate unless we didnt exercise our constitutional responsibility to oversight, Pelosi said of Trumps remarks. The U.S. Senates top Democrat also fired a warning shot at Trump on Wednesday, saying he only demanded d that House Democrats back off from partisan investigations because hes afraid of them. Minority Leader Chuck Schumer mocked the presidents call for bipartisan cooperation instead of foolish opposition from the House majority now led by Pelosi. 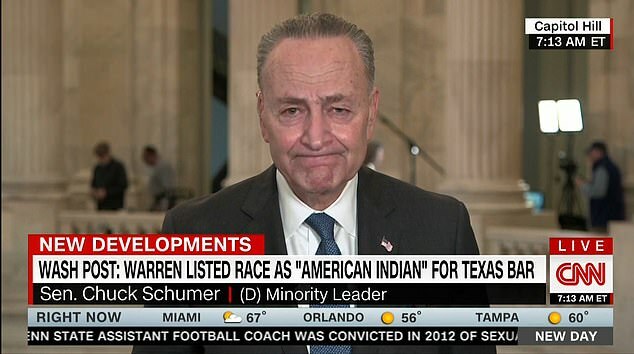 Hes scared, Schumer said hours later during an interview on CNNs New Day program. Hes got something to hide. Schumer has been gleefully anticipating probes from the other end of the Capitol, focused on everything from White House securiy clerances to so-far unsubstantiated claims that his 2016 campaign aides colluded with Russian agents to help tilt the election. Schumer scoffed at the idea that Trump has any place asking for the soft-glove treatment. One of the functions of the Congress, the Article I section of government, from the days of the founding fathers, was oversight of the executive branch, he told CNN host John Berman. And the president says, "If you investigate me, Im not going to make progress." Thats already doing what he did with the shutdown, holding the American people hostage. You know what I think it shows, John? Hes scared. hes got something to hide. Because if he had nothing to hide, Schumer concluded, hed just shrug his shoulders and let these investigations go forward. Hes afraid of them. 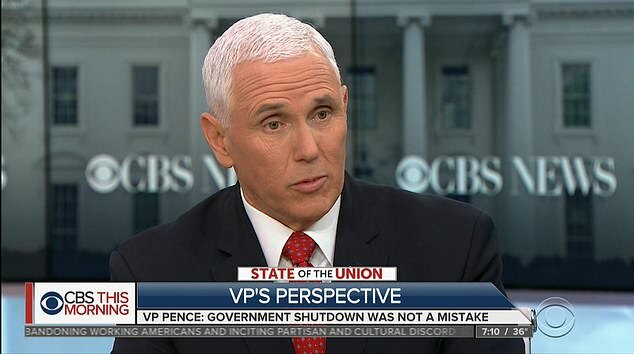 On CBS This Morning, Vice President Mike Pence acknowledged that congressional oversight is a part of the checks and balances of our system. Pence said that Trump was only referring to partisan investigations that have been launched. You know his feelings about investigations on Capitol Hill, said Pence, who served 12 years in Congress before becoming Indianas governor. We dont object to oversight. Thats the proper role of committees in the Congress. But when it takes on a partisan tint, when it seems more intent on becoming a forum for invective against the president and the administration, the American people expect better. 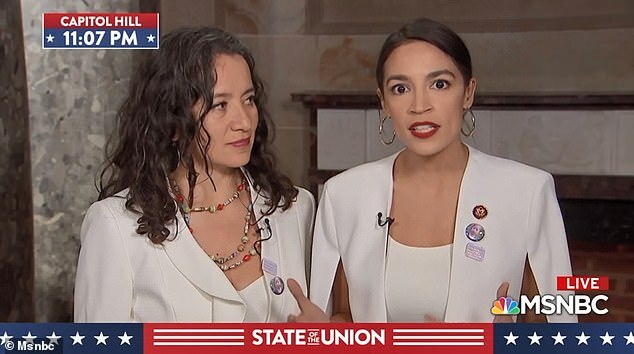 Rep. Alexandria Ocasio-Cortez, the 29-year-old democratic socialist who has emerged as a Democratic Party leader, said on NBC that Trumps demand was, frankly, kind of bizarre. I dont think that investigations into federal misconduct have anything to do with our economy, she said. Trump had begun the assault by talking about last months jobs numbers. An economic miracle is taking place in the United States, and the only thing that can stop it are foolish wars, politics, or ridiculous, partisan investigations, hed said.